Cannabis is the most commonly used federally illicit drug, yet little research has identified risk factors for high-risk use. Although April 20 (“4/20”) has been identified as a day on which cannabis users use more cannabis than they typically do, it remains unknown whether 4/20 is a high-risk event for greater use than other heavy use days (e.g., other holidays) and whether use on 4/20 is related to greater use-related problems. Such information has important implications for event-specific prevention efforts. Thus, the present study tested whether 4/20 is associated with greater cannabis use than other high-risk cannabis use events (e.g., Spring Break), whether 4/20 cannabis use is associated with event-specific use-related problems and subjective intoxication, and whether event-specific psychosocial factors (i.e., motives, normative beliefs) influence 4/20 use among 68 past-year cannabis using undergraduates who reported using cannabis on 4/20 (in a state where cannabis is legal for medical but not recreational purposes). A majority reported experiencing problems related to their 4/20 use and use was greater on 4/20 than on all other high-risk days. Quantity of 4/20 use was significantly, positively correlated with 4/20 cannabis use-related problems and subjective intoxication. 4/20-specific descriptive norms were a stronger predictor of 4/20 cannabis use and use-related problems than 4/20-specific cannabis use motives whereas 4/20-specific enjoyment motives were stronger predictors of subjective intoxication on 4/20. The current study identifies 4/20 as an especially high-risk cannabis use event and is the first to test psychosocial factors related to 4/20 use and use-related problems. Event-specific descriptive norms and enjoyment motives may be important targets for campus-wide efforts to prevent risky use on this high-use day. Katherine Walukevich-Dienst and Julia D. Buckner declare that they have no conflict of interest. All procedures followed were in accordance with the ethical standards of the responsible committee on human experimentation (national and institutional). Informed consent was obtained from all individual subjects participating in the study. If any identifying information is contained in the paper the following statement is also necessary – Additional informed consent was obtained from any subjects for whom identifying information appears in this paper. Associated Press. (2017). How marijuana’s high holiday came to be. Retrieved from https://nypost.com/2017/04/20/how-marijuanas-high-holiday-came-to-be/. Johnston, L. D., O’Malley, P. M., Bachman, J. G., Schulenberg, J. E., & Miech, R. A. (2016). Monitoring the Future national survey results on drug use, 1975–2015: Vol. 2, College students and adults ages 19–55. Bethesda: National Institute on Drug Abuse. Retrieved from Ann Arbor: http://monitoringthefuture.org/pubs.html#monographs. Lopez, G. (2018, April 20). 4/20, the marijuana holiday, explained. Retrieved from https://www.vox.com/2014/4/19/5624560/what-is-420-marijuana-legalization. Neighbors, C., Atkins, D. C., Lewis, M. A., Lee, C. M., Kaysen, D., Mittmann, A.,… Rodriguez, L. M. (2011). Event-specific drinking among college students. Psychology of Addictive Behaviors, 25(4), 702–707. https://doi.org/10.1037/a0024051. Neighbors, C., Lee, C. M., Atkins, D. C., Lewis, M. A., Kaysen, D., Mittmann, A.,… Larimer, M. E. (2012). A randomized controlled trial of event-specific prevention strategies for reducing problematic drinking associated with 21st birthday celebrations. Journal of Consulting and Clinical Psychology, 80(5), 850–862. https://doi.org/10.1037/a0029480. Queally, J. (2016). Dude, you ever wonder, like, why people celebrate pot on 4/20? Retrieved from https://www.latimes.com/local/lanow/la-me-ln-420-history-20160420-story.html. 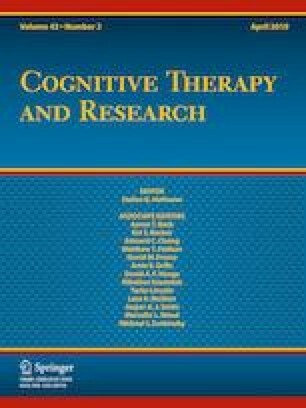 Schulenberg, J. E., Johnston, L. D., O’Malley, P. M., Bachman, J. G., Miech, R. A., & Patrick, M. E. (2018). Monitoring the Future national survey results on drug use, 1975–2017: Volume II, College students and adults ages 19–55. Retrieved from Ann Arbor: http://www.monitoringthefuture.org/pubs/monographs/mtf-vol2_2017.pdf. Schulenberg, J. E., Johnston, L. D., O’Malley, P. M., Bachman, J. G., Miech, R. A., & Patrick, M. E. (2017). Monitoring the Future national survey results on drug use, 1975–2016: Volume II, College students and adults ages 19–55. Retrieved from http://monitoringthefuture.org/pubs.html#monographs. Zeiger, J. S., Haberstick, B. C., Corley, R. P., Ehringer, M. A., Crowley, T. J., Hewitt, J. K.,… Rhee, S. H. (2010). Subjective effects to marijuana associated with marijuana use in community and clinical subjects. Drug and alcohol dependence, 109(1–3), 161–166. https://doi.org/10.1016/j.drugalcdep.2009.12.026.